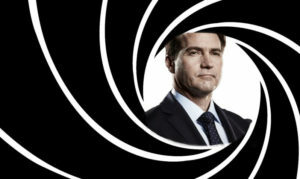 On February 8, 2019, Craig Wright wrote on his personal blog a series of posts worthy of being translated into a movie. In these posts, he tells a story of mysteries, human trafficking and covert operations in which he played an important role. Events that he claims to have influenced him to create Bitcoin (or BSV, the original Bitcoin created in 2009… we don’t say it, he says it). In that story (composed of a Post titled “Careful What You Wish For” and its sequel, “Story of Bitcoin Continued” ), Craig Wright gives us a virtual tour from Australia and London to other countries like Venezuela, with a stop in Colombia, where he had a job with the DAS (the equivalent of the MI5, the Mossad or the CIA), as an “agent of influence”. Once his crusade against crime was over, he returned to civilization, only to find out the terrible news that criminals like Ross Ulbricht were using Bitcoin. These events influenced his decision to chose the alias of “Prof Faustus” as his bargain to stop what he saw wrong with Bitcoin. He explains that being Satoshi Nakamoto, he decided to disappear to “move onto other things,” Because he had to work on fighting the evil within the ecosystem to redeem his guilt. After Mr. Wright’s story was published, Wikileaks shared the information in a somewhat unusual way that was certainly not to Craig’s liking. In a first tweet, WikiLeaks calls Wright a “Serial Fabricator” who tries to raise money to escape prosecution and keep his business afloat. Likewise, in a subsequent tweet, they explain that on several occasions Craig’s lies have come to light. They call Craig a “proven serial forger of documents” emphasizing that the WikiLeaks team has been able to verify these accusations. In this second tweet they added a link to the GitHub page “Cult of Craig” which is dedicated to uploading evidence of Craig Wright’s various lies, ranging from severe things like failing to sign the genesis block with private keys and altering old posts to deceive the community, to trivial stuff like confusing the term bit with the term byte. Fake and fabricated news site that I wanted not to have anything to do with Bitcoin makes up more lies. The post Craig Wright Tells a Story of Drugs, Covert Operations and Drama, Claiming to be Satoshi. Wikipedia Calls Him a “Serial Fabricator” appeared first on Ethereum World News.